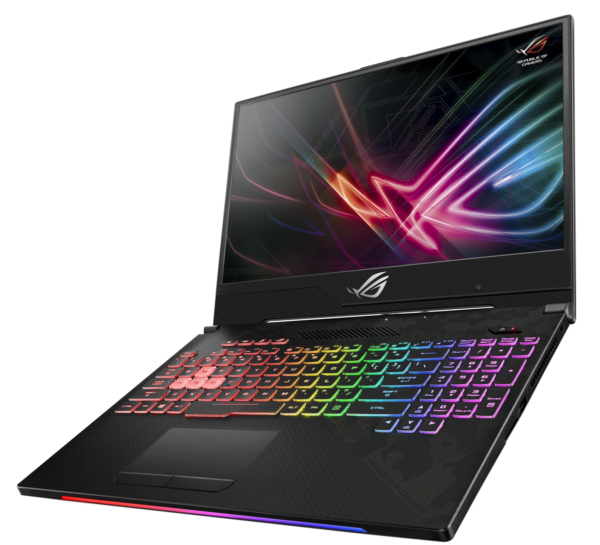 The Computex 2018 is the opportunity for Asus to launch on the market 2 new portable gamers, Asus ROG Strix Scar II GL504 and Asus ROG Strix Hero II GL504. On the program, latest generation Hexa Core Coffee Lake processor, high-end NVIDIA Pascal dedicated graphics card, hybrid storage with SSD or 144Hz IPS screen. 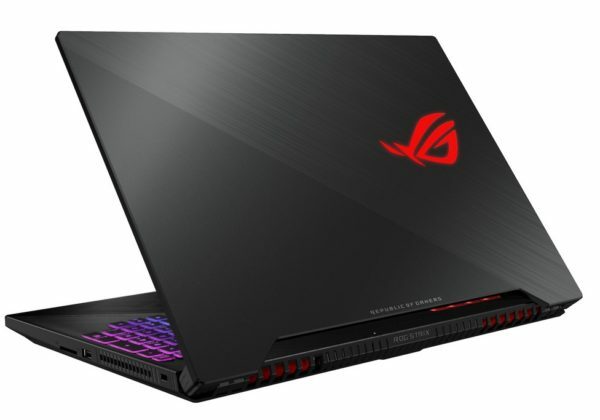 In addition to its Ultrabooks such as the VivoBook Flip 14 TP412 2-in-1 Hybrid, Asus is launching its 2 new Asus ROG Strix Scar II gaming laptops at the Computex 2018 show in Taipei. GL504 and Asus ROG Strix Hero II GL504. They are particularly suited to First-Person Shooters (FPS) and Multiplayer Online Battle Arena (MOBA) games. The Asus ROG Strix Hero II GL504GM incorporates a latest-generation Coffee Lake processor Quad Core i5-8300H (2.3 GHz) or Hexa Core i7-8750H (2.2 GHz) graphics solution Intel UHD 630 associated with a maximum RAM of 32 GB DDR4 2666 MHz (2 slots). GPU side, Asus opts for a dedicated card GeForce GTX 1060 6GB GDDR5 dedicated compatible VR (virtual reality) while the screen is a model 15.6 inches anti-reflective IPS Full HD (1920×1080) 72% NTSC 60Hz or 144Hz 3ms gray-to- Grey. Here the screen edges are 23.3 mm thinner than the first edition Strix Hero. Side storage, 2 locations are planned: 1 format M.2 NVMe PCIe to accommodate a dedicated SSD 128/256/512 GB, and 1 in the format 2.5 inch designed to accommodate either a hybrid HDD SSHDSeagate 1TB FireCuda 5400 rpm (8 GB cache), a hard drive 7mm 1 TB at 5400 rpm or 7200 rpm. The connector consists of an SD card reader, wireless Bluetooth 5.0 modules and Wi-Fi ac (2×2) ROG RangeBoost to boost the Wi-Fi signal up to 1.7 Gb / s, HDMI 2.0 video outputs and mini DisplayPort 1.2, a combo audio headset / microphone, a Gigabit Ethernet port, 2 USB 3.1 (Gen1), 1 USB 3.1 (Gen2) or 1 USB 3.1 Type-C (Gen2). Also included are 2 3.5W Smart AMP technology speakers, a HD webcam with microphone, and a 4-zone RGB backlit chiclet keyboard (1.8mm stroke). At the top of the keyboard on the left, there are 4 customizable keys. The keyboard features N-key rollover technology, HyperStrike Pro and ROG Overstrok to allow quick recognition of keys pressed, with the possibility to take into account several simultaneously. 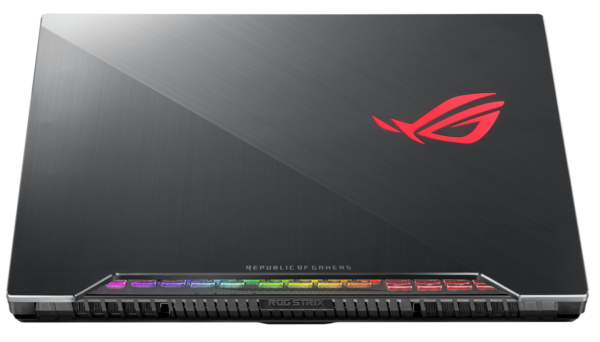 The Asus ROG Strix GL504GM Hero II measures 361 x 262 x 26.1mm, weighs 2.4 Kg and runs on Windows 10. Its AC adapter is a 180W model. Cooling is provided by the Asus HyperCool Pro solution consisting of 2 fans 12V (usually 5V), a heat pipe system and a dust-proof solution. In the event of heating, the speed of the fans can be increased manually via the key combination Fn F5 (= Fan Overboost). The user can also choose a mode of performance type (Overboost mode) or silence (Silent mode). The objective is to be able to keep the components below 90 ° with a noise limited to less than 50 dB. The Asus ROG Strix Scar II GL504GM has a similar configuration with the exception of the screen for which only one option is announced: 15.6 inch anti-glare 144Hz IPS Full HD 3ms 72% NTSC. 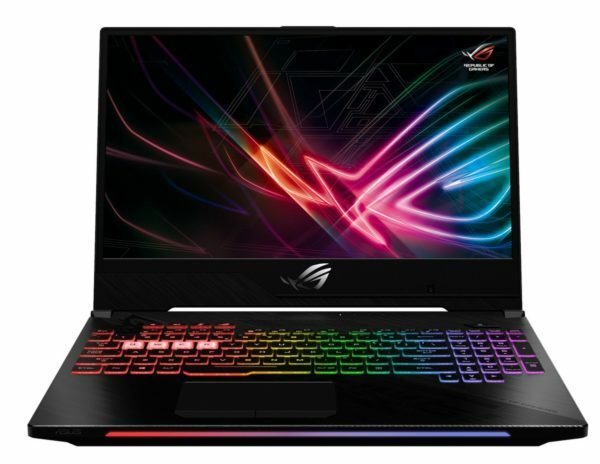 The Asus ROG Strix Scar II GL504GS is different from the GL504GM on 3 points. First, its dedicated high-end graphics card GeForce GTX 1070 8GB GDDR5 dedicated. Secondly by its more powerful power adapter of 230W, and in third by the presence of additional heat pipes to well cool all. The Asus ROG Strix GL504 Hero II is announced from 1699 dollars against 1999 dollars for the Asus ROG Strix Scar II GL504. In Europe, they are expected from 1550 euros for the 3rd quarter of 2018 and should be marketed in time for the start of the school year.